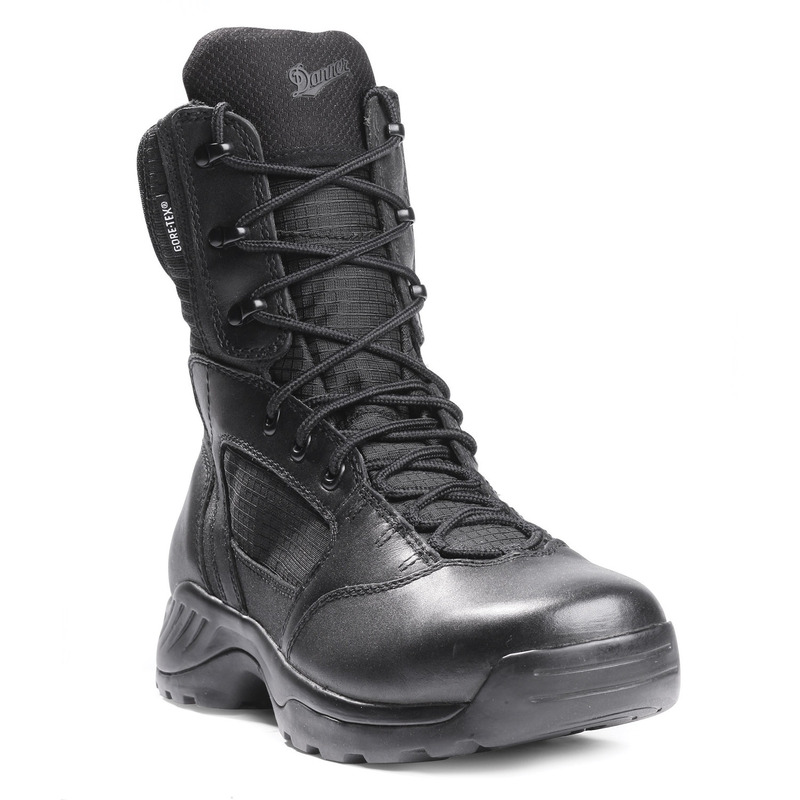 The Danner Kinetic Boots are lightweight waterproof boots with an athletic fit. 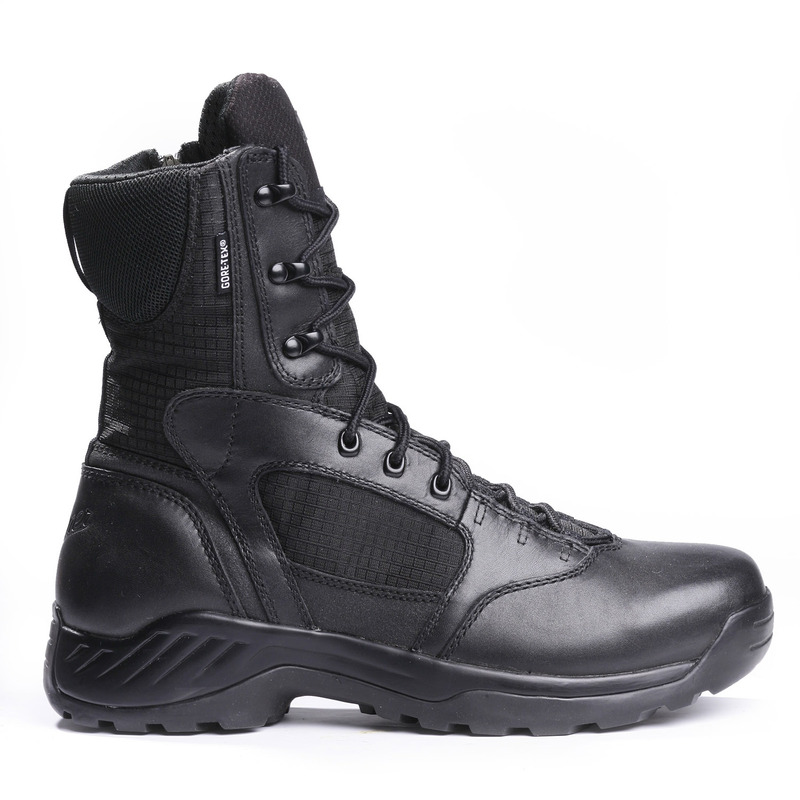 Constructed from a rugged full-grain leather and ripstop ballistic nylon. 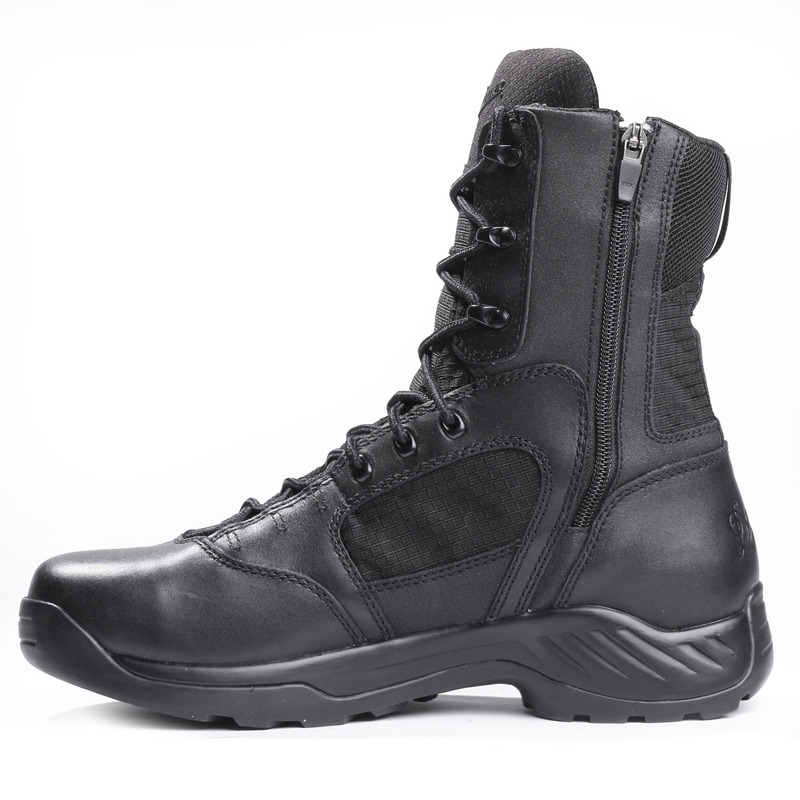 Those in uniform and on tactical teams prefer the long-lasting, easily polished leather of these boots — and it’s no surprise why. The durable and easy-care characteristics give you the dependability you need while significantly reducing prep time. Plus, the practical side zipper makes for easy on/off. 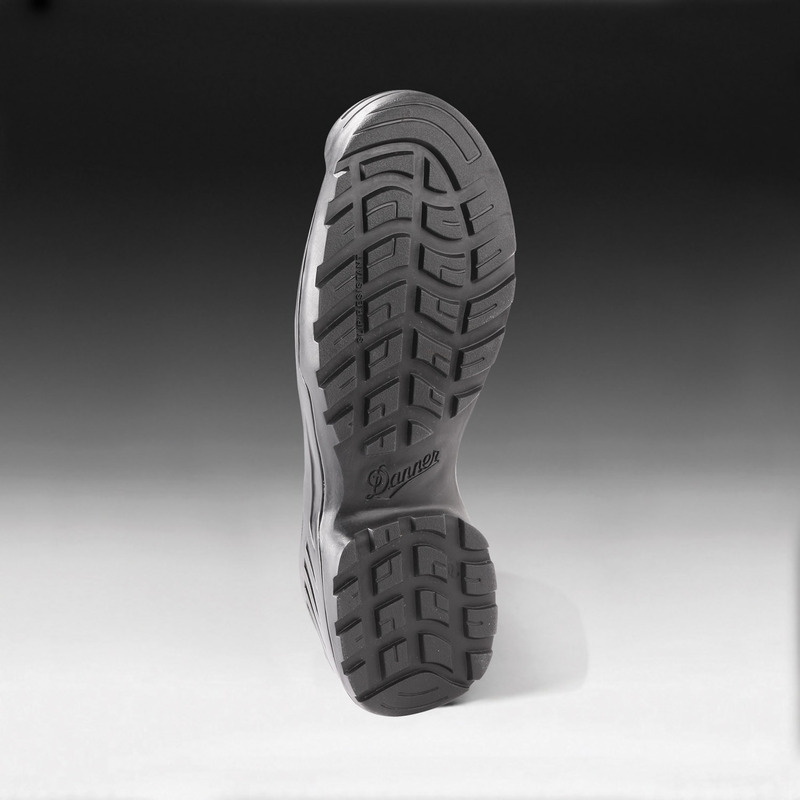 Waterproof and breathable GORE-TEX® liner keeps your feet dry and comfortable, even in extreme surroundings. A deeply cushioned midsole and polyurethane footbed delivers all-day comfort and support. Multidirectional low lug outsole provides superior surface contact and gripping action — ideal for sudden propulsion from a stationary position. Lasting, we’d be remiss if we failed to mention the lightweight breathability and abrasion resistance of the ripstop ballistic nylon. 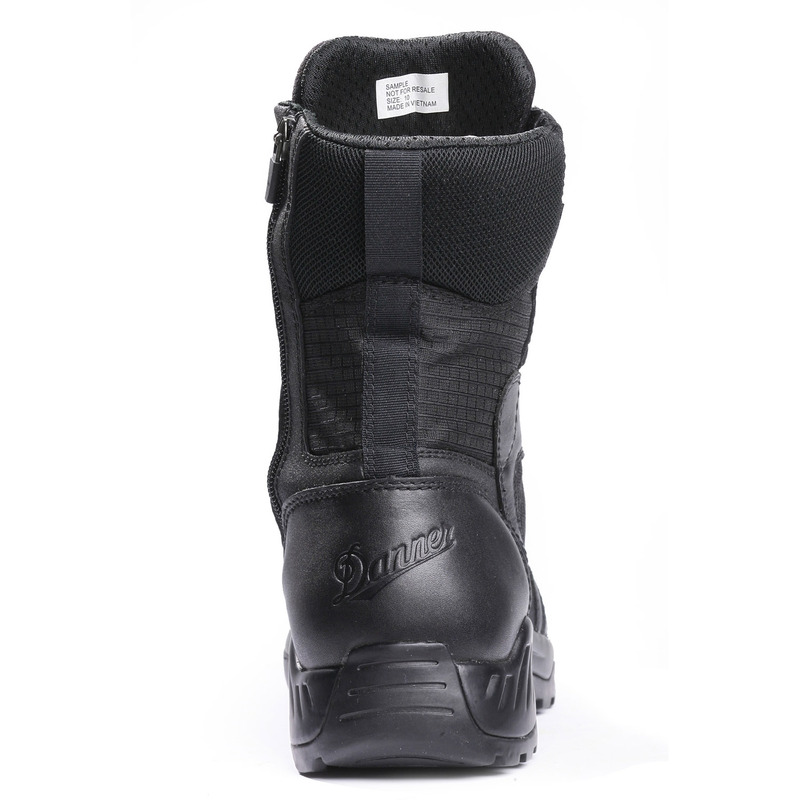 Truly, these boots are as rugged on the exterior as they are comfortable on the interior.